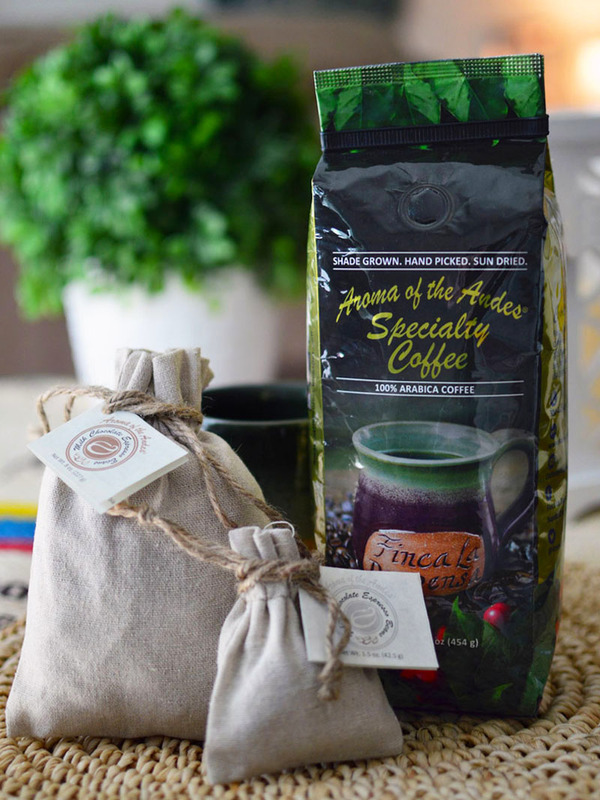 Many people may wonder how a family in the hills of West Virginia became owners of a coffee farm in the Andes Mountains of Colombia, South America. 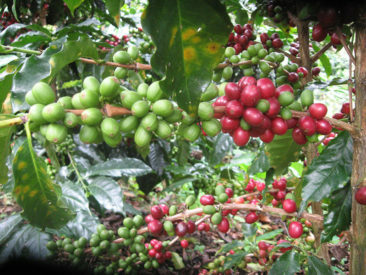 To be honest, the Brown family never sought out to purchase a coffee farm. A series of events transpired that lead the Brown family into the business which actually dates back to 1993. In 1993, Duane accompanied his uncle, who was a missionary, to southern Colombia's infamous Red Zone. During this trip, Duane spent some time doing missionary/humanitarian work in the area, where he met and befriended a native Colombian. Fast forward to 2011, Duane was on another missionary/humanitarian trip to the Amazon region of Colombia, Brazil, and Peru. During this trip, Duane had the opportunity to reconnect with his Colombian friend and invited him to visit the Brown family’s home located in Linn, West Virginia. 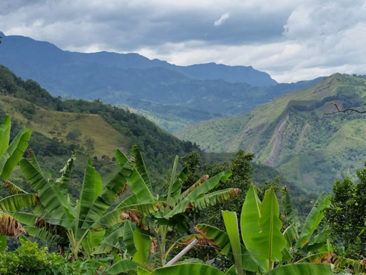 In the fall of 2011, this Colombian visited the Brown family’s home, where he told them that he would assist the Brown family in purchasing a coffee farm in Colombia. Duane then inquired as to what a small coffee farm would cost and if he knew of any in a safe area in Colombia. After much thought, Duane, Rachel, and their sons Joshua and Justin decided to become equal partners in the business venture. The Brown family would purchase a coffee farm in Colombia, South America! 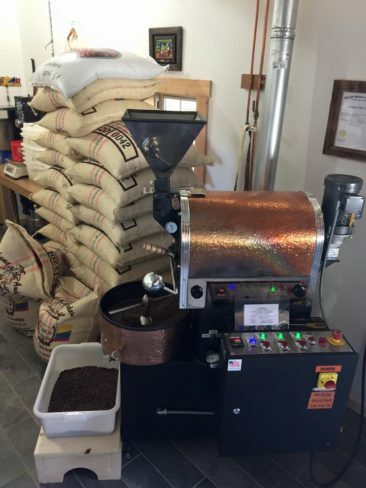 So in February of 2012, Duane, Rachel, and their son Justin ventured to Colombia to purchase the coffee farm. Happily, the Colombian government approved the sale, and in March they issued the deed in Duane’s name. 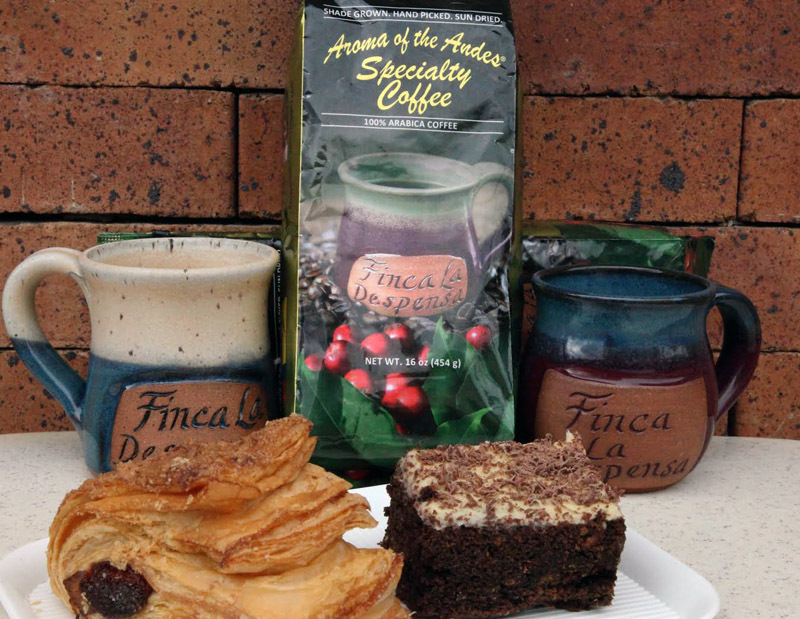 A legal technicality prevented them from changing the name of the farm, but its traditional name, Finca La Despensa, suited them well. The name literally means “farm pantry” or farm that dispenses food to the people. 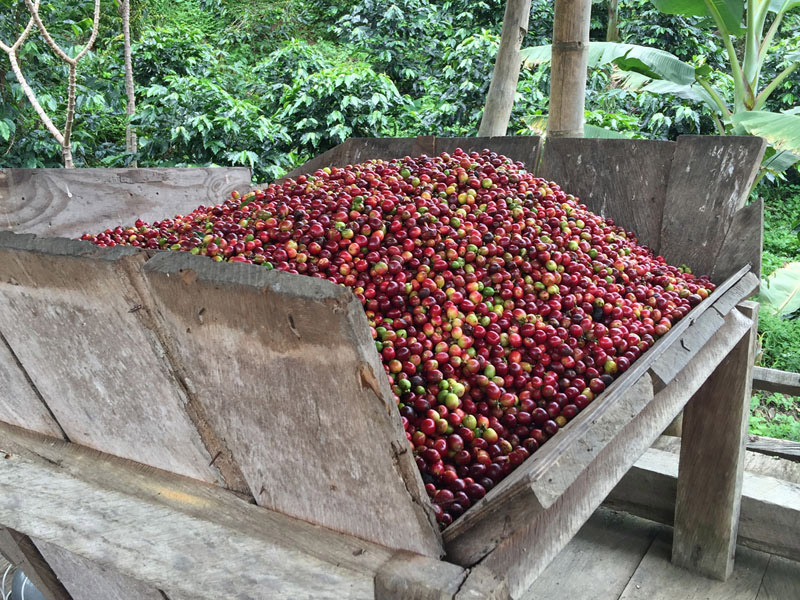 Finca La Despensa is considered small by many standards, which allows the Brown family to ensure environmentally friendly farming methods are involved in the entire coffee life cycle. This includes the growing, harvesting, de-pulping, drying, and roasting of their specialty coffee “Aroma of the Andes.” The Brown family visits their farm several times a year to assist the Colombians working on the farm and to ensure strict standards are being met. Finca La Despensa currently maintains 6,500 Arabica coffee trees, Colombia and Castillo variety. The farm is located 6,000 feet above sea level and the coffee is considered "strictly hard bean." The high altitude makes the bean denser, more flavorful, and more valuable than coffee grown at lower elevations. 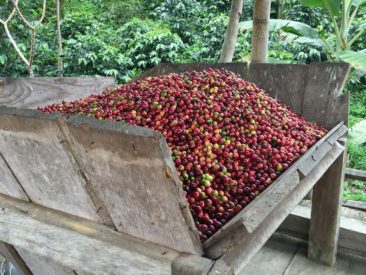 All of the coffee is hand-picked when the cherries are ripe at which time the "wet process" method of de-pulping the beans is used before solar drying them on site. 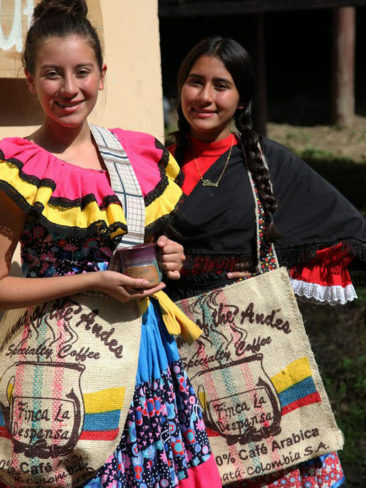 The coffee is then transported to Ibagué, Colombia where the coffee is milled and then exported in 77 lb burlap bags to Linn, West Virginia where all of the fire roasting and marketing of our specialty coffee “Aroma of the Andes” occurs.